Below you can view all the homes for sale in the Barrington Farms subdivision located in Roswell Georgia. Listings in Barrington Farms are updated daily from data we receive from the Atlanta multiple listing service. To learn more about any of these homes or to receive custom notifications when a new property is listed for sale in Barrington Farms, give us a call at 404-998-4017. This Home Is Move In Ready! MLS#6537316. Berkshire Hathaway Homeservices Georgia Properties. 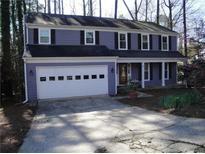 Wonderful Location, Convenient To Big Creek Greenway, Local Shopping, Alpharetta & Ga 400. MLS#6530198. Keller Williams Rlty Consultants. Walk To The Greenway In Big Creek Park. MLS#6530371. Keller Williams Rlty, First Atlanta. Don'T Miss Out On This Great Opportunity. MLS#6527043. Re/Max Paramount Properties. Charming Back Deck Overlooking The Yard. This Home Will Not Last! MLS#6524621. Redfin Corporation. 100% Financing Available. Will Go Quick! 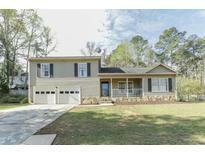 MLS#6522835. Market Masters Realty. The Unfinished Basement Is A Blank Canvas Just Waiting For Your Inspired Ideas And Artistic Vision. MLS#6521807. Jar House Llc. Family Friendly Cul-De-Sac. Walk To Greenway! MLS#6513818. Coldwell Banker Residential Brokerage. Spacious 3 Bedroom 2.5 Bath Traditional In Sought After Barrington Farms.New Cement Siding,Exterior Paint, Windows And Flooring.Hvac,Water Heater Less Than 5 Years Old.Open Floor Plan With Spacious Great Room With Built In Bookcases And Cozy Fireplace.Seperate Dining Room.Granite Counters,Tiled Floor And White Cabinets In Kitchen.Large Master Suite With Walk-In Closet And Private Bath.2 Large Bedrooms And Full Bath Upstairs.Huge Covered Deck And Fenced Yard Plus Oversized 2 Car Garage. MLS#6513321. Georgias Finest Real Estate Services. Home Comes With A 30-Day Buyback Guarantee. Terms And Conditions Apply. MLS#6121951. Opendoor Brokerage, Llc. Minutes To Big Creek Park, Country Club Of Roswell, Newtown Dream Dog Park, Shops, Dining & Entertainment. MLS#6112120. Berkshire Hathaway Homeservices Georgia Properties. Home Comes With A 30-Day Buyback Guarantee. Terms And Conditions Apply. MLS#6092211. Opendoor Brokerage, Llc.